* Results based on 2015-2016 Average Service vs 2017-2018 Average Service employing the 3 Birds Retention Accelerator for a Mid-Metro Honda dealership. As with any digital marketing campaign, the experience depicted is not typical and your individual results may vary depending on brand, location, and other factors. This dealership was not compensated in any way and results may not be representative of the experience of other dealerships. The 3 Birds Retention Accelerator is a dynamic, data-driven automated marketing solution that captures a critically important section of the vehicle lifecycle: the time from the point of the vehicle purchase through the first major service interval. 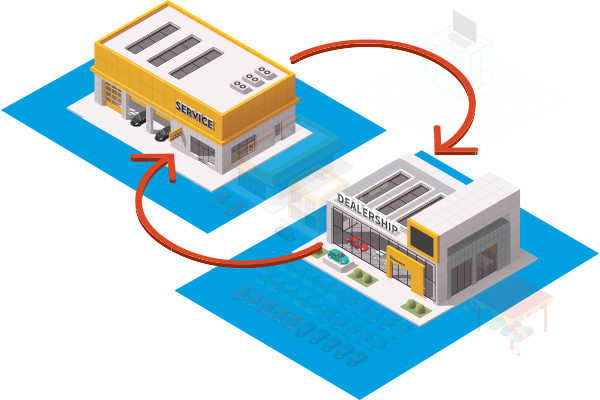 The Retention Accelerator stems service defection and, by extension, brand defection, by seamlessly delivering quality communications that increase owners’ enjoyment of their vehicles and solidify their connection to the dealership. This lifecycle messaging series consists of email communications highlighting ownership benefits, vehicle features including technology, dealership service amenities, and a new owner retention focused monthly Temperature Gauge communication. 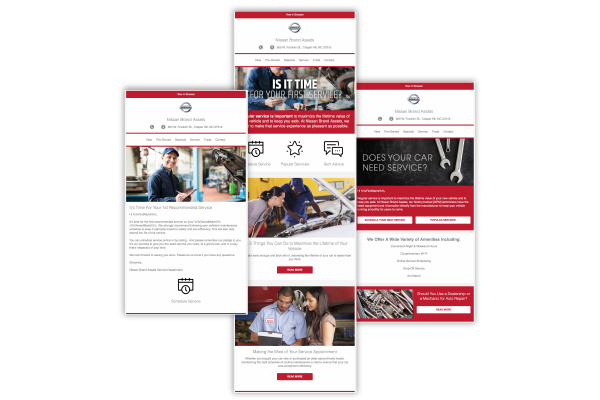 The Retention Accelerator also includes a fully responsive web presence with all of the supporting content, including new owner and vehicle features videos, service department amenities, articles about the advantages of servicing and buying parts at the dealership as opposed to national chains, and conversion tools. 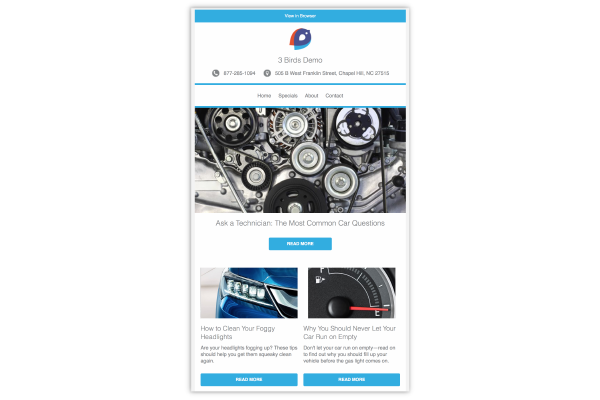 The same engaging, mobile-responsive, monthly email communication specifically tailored to the interests of new owners during their first year to enhance the ownership experience and solidify the relationship wth the dealership. 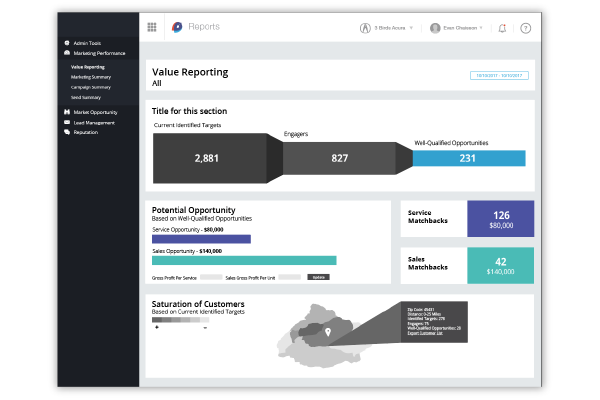 A new way to view your customer database that includes performance metrics, segments by customer type and lifetime value, and tracks the customer online journey all the way down to the individual customer record. An additional series of communications sent over the first year of vehicle ownership including: intro to ownership, including intro to ownership benefits, vehicle features, dealership advantage, service intro, technology check in, and more. Transparent messaging solidifies the owners’ enjoyment of their vehicles and connection to the dealership.